The last Squadron has made it to Uniform Issue and just in time for the start of BCT 2 tomorrow! 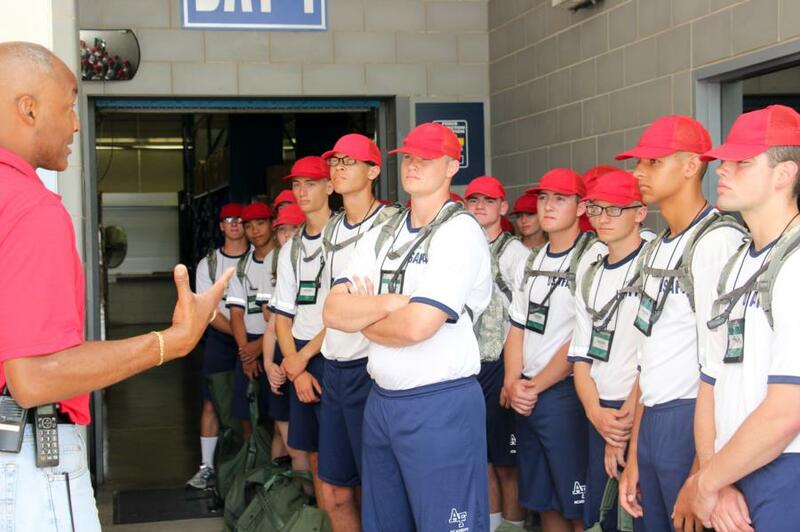 Throughout BCT 1 the Basics have been going through Uniform Issue. 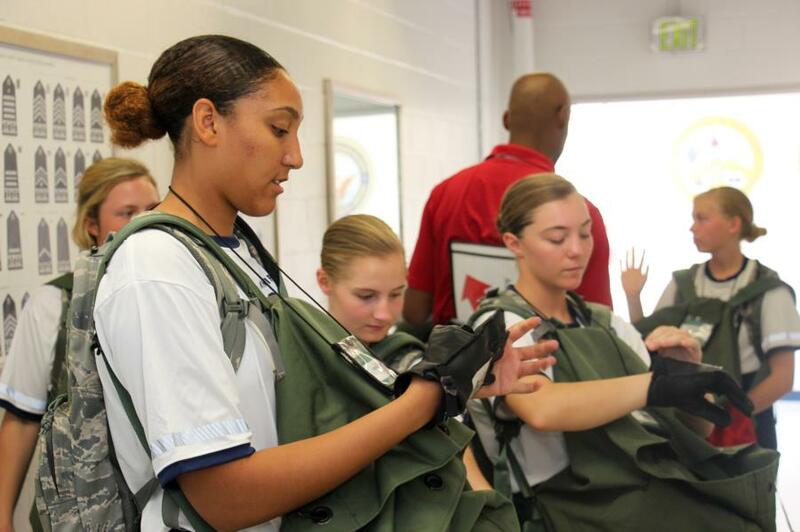 During these visits we’ve been catching glimpses of the Basics getting the essentials for different uniforms that they will wear in the future. One of the main essentials is their caps which the Basics must get their “noggins” measured. After measuring they must try on different hats to get the right size, checking to see if the cap fits at a 2 finger width from their nose. 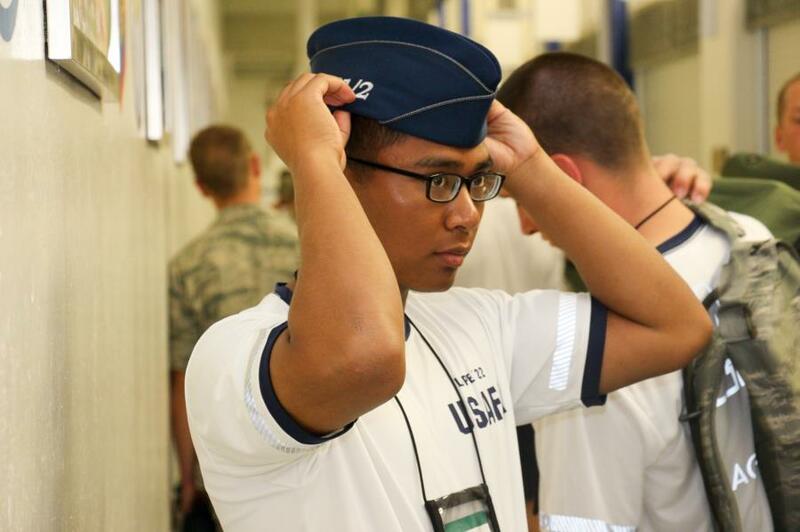 Other items we’ve seen Cadets try on and get measured for are their everyday boots, blues uniform, and our favorite - their Parade/Graduation uniform. 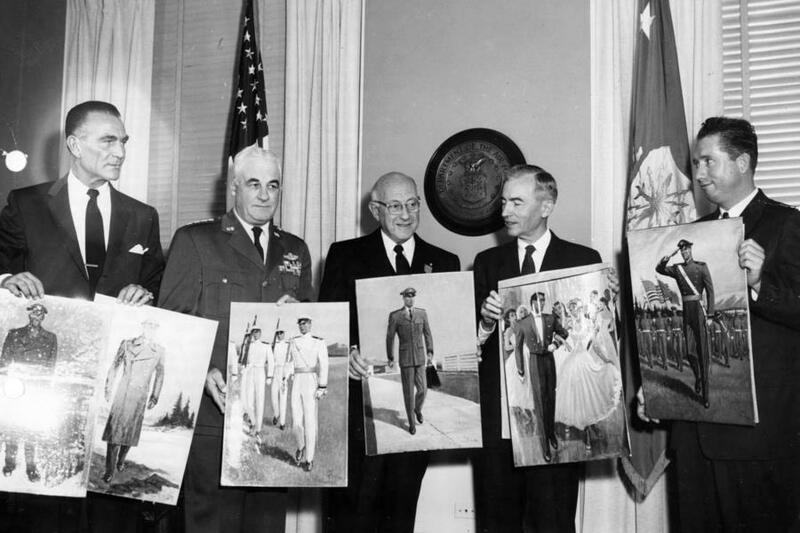 Fun Fact: “From January 1951 to January 1955, various officers and persons within and outside the Air Force establishment made part-time efforts to develop a distinctive wardrobe of Air Force Academy uniforms. Many excellent ideas and designs but none were selected. 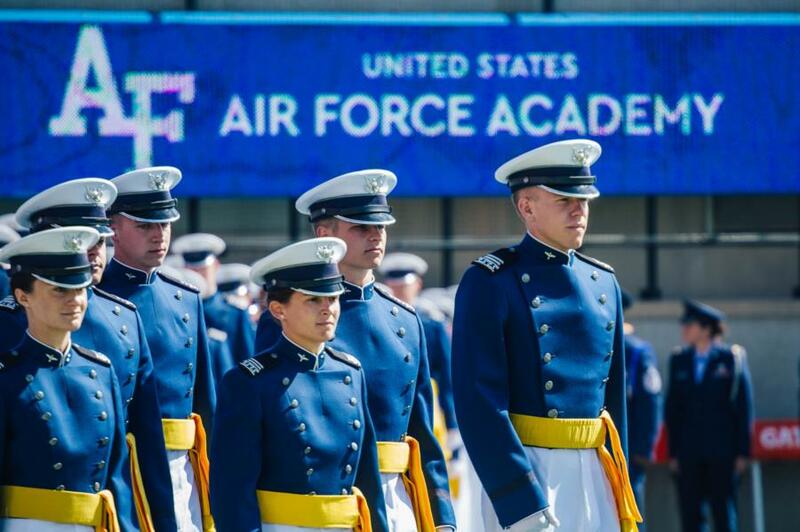 If you’d like to read more click here to learn more about the history of the USAFA Uniform. We'll be back tomorrow with more Intramural coverage and the Basics trip to the Rodeo. Pictures can be found in the BCT-1 Demon's Gallery on the 2022 Class page!